Home to plenty of western adventures and abundant outdoor opportunities, Cut Bank sits against the backdrop of the stunning Rocky Mountain Front. The Cut Bank area offers services for cattle drives, guided fishing trips, birding, lodging and camping, plus a golf course and a new brewery. It's a great community to stay in and explore, with many multiday events like the annual Lewis and Clark Festival and Shakespeare in the Park. Cut Bank also has an international airport, ideal for small planes. 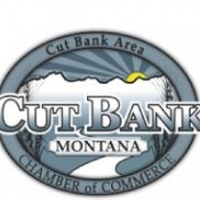 The Cut Bank area has three historical sites used by members of the Lewis & Clark expedition during their time in northern Montana. On July 21, 1806, Meriwether Lewis and three of his men from the Lewis and Clark expedition camped along what they called the north fork of Maria's River where the river cuts into the white clay bank. 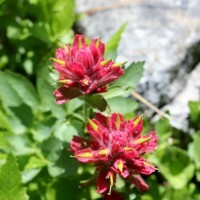 This was in the heart of Blackfeet Indian country. For the next eighty-four years the Blackfeet culture would continue to dominate and flourish in the area. In the autumn of 1890, Great Northern Railroad crews reached the site of present day Cut Bank very close to where Lewis' party camped. While construction crews stopped to construct the wooden trestle over Cut Bank Creek, a small temporary railroad construction camp emerged. After the crews completed the bridge and track, they moved on. The Great Northern soon established a station at Cut Bank, located on the west side of the trestle. A small settlement grew around the station, which was nothing more than a box car converted into a depot. In the depot, a telegrapher manned the telegraph over which he copied train orders and gave instructions to each train. During this period, stations were located every five to ten miles apart. On December 14, 1892, a post office was established with John K. Stauffer as postmaster. The post office was located in the salt box style section worker's house. Sections gangs were stationed at intervals along the Great Northern. Each gang was responsible for the repair and maintenance of an assigned section of track. There was also a water tank to provide water for the steam engines. The 1894-1895 Montana Business Directory listed Cut Bank as having a general store operated by G.H. Kurdvek but this business didn't last long. During these years, Cut Bank's population was 26, with most of the people except for the railroad workers living on nearby sheep and cattle ranches. In the summer of 1900, the Great Northern employed 250 men at Cut Bank working on track improvements, in the quarry, and building a new steel bridge to replace the wooden one. Rumors were out that the railroad planned on moving the roundhouse and division point from nearby Blackfoot to Cut Bank and expanding the facility. In those days division points were located every 100 miles to keep the steam engines in repair. Businessmen began locating in Cut Bank to serve the temporary workforce present but hoped that the rumor would become reality. The August 23rd edition of the Shelby News announced the bridge was completed and that engine 522 with 25 cars of dirt was the first train to cross the new bridge. The paper also announced that "parties in from Cut Bank state that the Great Northern Railway have a large force of men at work at that point grading side tracks preparing the ground for the erection of a roundhouse, etc, and that before many months end, the division will be changed from Blackfoot to Cut Bank. 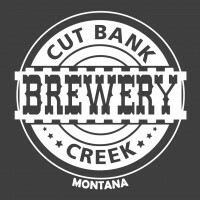 If this is true, and we have no reason to doubt it, Cut Bank will be one of the best little towns in Northern Montana."